Unbuckle your belts and get set to meat sweat your way through winter. 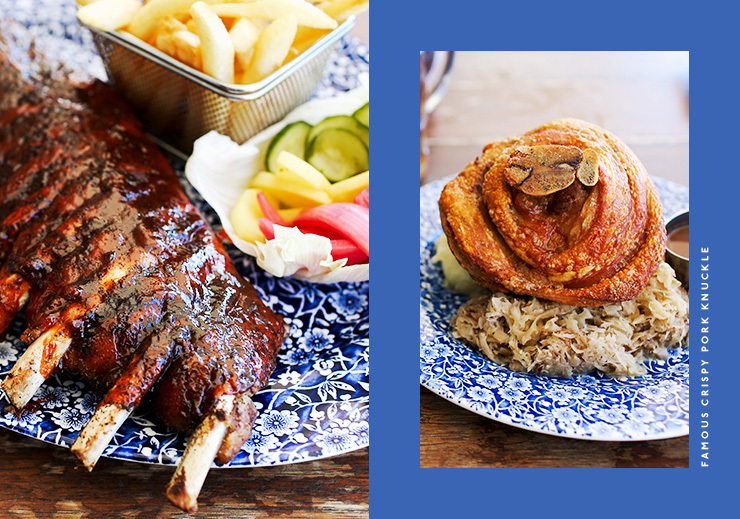 We’ve officially joined forces with some of the best meat makers in the biz—the Bavarian Bier Café—to bring you the biggest (and most delicious) meat dishes your hard earned cash can buy (that taste even better with beer). So throw portion control to the wind and celebrate cheat day—it’ll be worth it (we promise). BBQ pork ribs are never a bad idea, especially when they’re rubbed down with coffee spice. These bad boys are the size of your head (maybe bigger), which means you won’t be hungry for at least 3 days (OK, we forgot who we’re talking to, you won’t be hungry until at least dinner). Prepare your belly for that sweet, saucy BBQ goodness. Permission to lick all of your fingers, twice. Ohhhh pork knuckle. There’s really nothing quite like it. This dish is bigger than a basketball (wellllll, almost) and between the crispy crackling, creamy mash, and apple compote you’re guaranteed to be in a food coma that is nothing short of #goals. If you need an excuse to stop (we’ve all been there), try the Hop Dock Wheat Beer. Designed for two, you’ll earn instant legend status if you can take this hefty dish on your own. 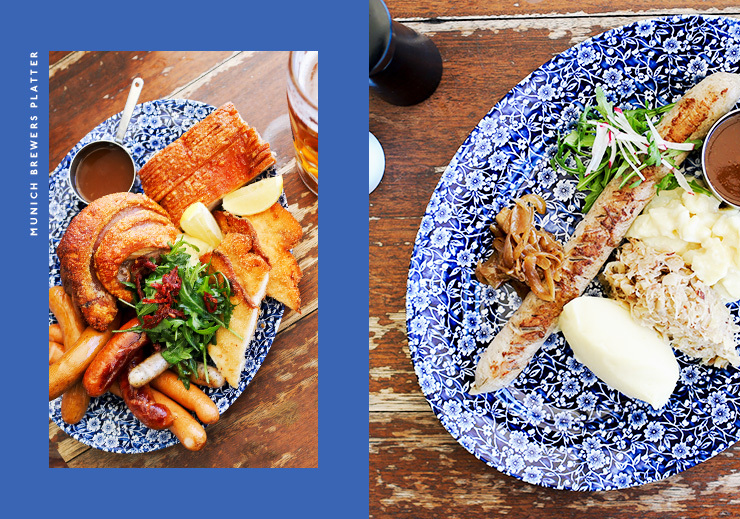 Made of crispy pork belly, roasted pork knuckle, haus sausages, and schnitzel (oh as well as sauerkraut, mashed potatoes and bier gravy, because sides), you’ll need to be rolled out the door when you’re done. If you’re more of a sausage person than a steak person (there’s always one) it’s time to pull up a chair. Behold the giant Thüringen bratwurst. Yes, it’s as ginormous as legend has it, and yes, you really do need to prepare yourself. Don’t eat breakfast. Or lunch. Thank us later. 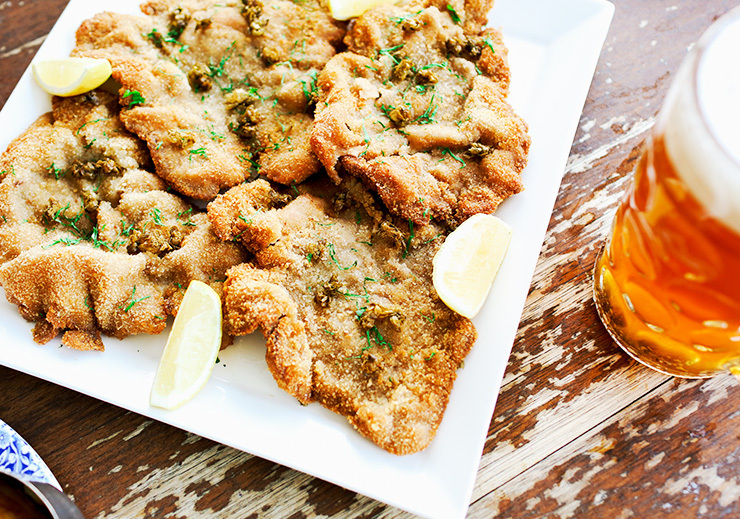 One whole glorious kilogram of crispy crumbed veal, served with your choice of delicious sides? Good luck and God speed to you my friend. This dish needs little explanation; let’s just say a hall of fame exists for a reason. Wash it down with a pint of Crafty Bavarian Brewing Co. if you need a break. Editor’s note: This article is proudly sponsored by Rockpool Dining Group and endorsed by The Urban List. Thank you for supporting the sponsors who make The Urban List possible. Click here for more information on our editorial policy.